In Prestige Online’s new “Getting to Know” series, we ask Hong Kong’s favourite personalities what they’re like outside of work — and get a little more personal. 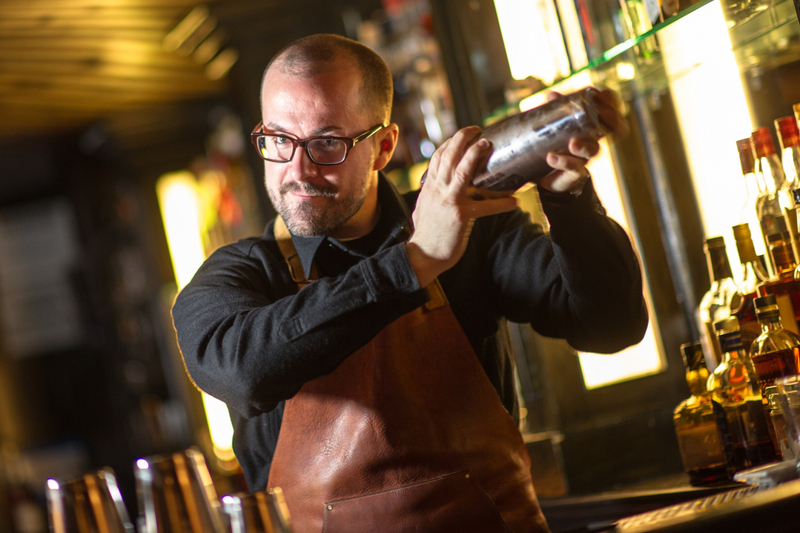 More than just a superstar bartender, we chatted with PDT’s Jim Meehan to find out what it’s like on the other side of the bar. My last two visits [at PDT] were all-hands-on-deck and more about being here with the team. But, I gather that the reason nobody is rushing me behind the bar this week is that they’ve got it and are doing fine without me! So I’m going to try to spend some time visiting some other bars in the city. COA, The Old Man and Lobster Bar are certainly three that are on the list. There is a tight-knit community here and so I want to say hello to the other bars. I had room service last night! I ordered the Caesar salad and the club sandwich at around midnight when I arrived. But my next meal is going to be at BÊP. I am a creature of habit, so I will be going there for lunch and following that up with good coffee at Cupping Room. Actually, I’m excited about music right now. The stuff I’ve been listening to recently is Jonathan Batiste’s new album [Hollywood Africans]. I discovered him when he played at The NoMad Hotel in New York, and his new album is absolutely beautiful. I was also just at this great restaurant in Berlin called Nobelhart & Schmutzig and they only play vinyl there. Billy, their sommelier, was playing the original vinyl from The Detroit Experiment, a jazz album that was put together with the help of [DJ/producer] Carl Craig and some electronic musicians. It’s somewhere between downtempo and acid jazz. There’s also an amazing artist called Durand Jones & The Indications, and it’s unbelievable, but he sounds like James Brown. It’s super funky. So a little bit of jazz, a little bit of funk, and then I round that out with Radiohead, which is what I listen to every day. What are you most likely to order at a bar? I go to bars and try to figure out what their ‘thing’ is and then try it. I think that, for me, is the key to having a good time when you go out to places. You don’t go to a beer bar and order a serious cocktail, or go to serious cocktail bar and order a craft beer, because you’re not going to be happy with what you get. I don’t have any. I used to have guilty pleasures, but then a certain person was elected president and I stopped watching everything and now I watch three hours of news every day. We live in tough times right now, so I’m really trying not to… I mean, being a white man in America — you wake up guilty, so I’ve got to be good! Tell us something that not too many people know about you. I think that one thing I’ve discovered over the last four or five years is that I’m an introvert. I was asked to give a TED Talk and my speaking coach asked me to watch some talks, and one of them was about introverts. I watched it and thought, ‘I’m an introvert’, and I had never known that. I think people envision bartenders to be these gregarious, extroverted, life-of-the-party type of people. Whereas, I think, I’m actually not. Show us your most recent Instagram photo. The last Instagram I put up was of the family in Hawaii. We were just there, so I have pictures of us and the kids on the beach. I’ve been trying to get in touch with my wife as she travels back on her own with the kids from Hawaii, so she’s probably cursing me right now!